Oscar Watch: Who Will Win Best Picture? The Academy Awards are merely days away as the broadcast is March 2, and Oscar Watch has gotten down to the wire. The Movie Fanatic column has made our thoughts known on who will win Best Supporting Actress, Best Supporting Actor, Best Actor and Best Actress. Today, we turn our sights on Best Picture! And don’t miss our annual pick-every-category predictions, going live February 27. Not to toot our own horn, but our accuracy rate is usually higher than 80 percent! 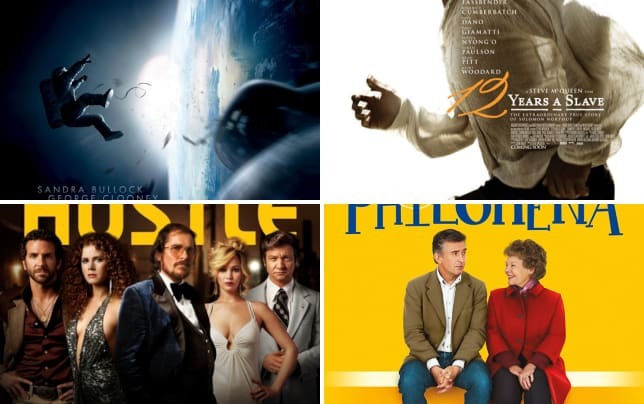 So, without further ado… let’s look at those Best Picture nominees! With each successive film that director David O. Russell makes, he gets closer to winning the top prize. 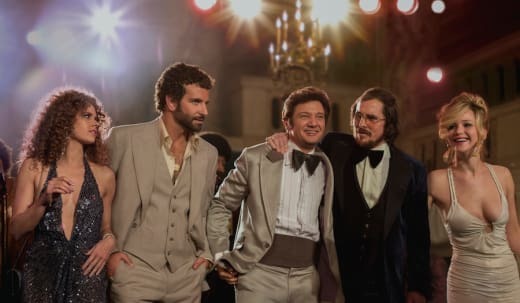 Starting with The Fighter (which was nominated for Best Picture, but won for Best Supporting Actress and Best Supporting Actor) and then last year’s Silver Linings Playbook (which won for Best Actress), perhaps this is the year he breaks through and wins Best Picture. Many believe it is the front-runner as it has 10 nominations along with Gravity and that would be correct. Russell’s film is based on a true story and a powerful one at that. He impeccably captured the era it took place in and arguably had one of the best ensembles of the year. Captain Phillips is a harrowing true story and features Tom Hanks giving one of the greatest performances of his life, and yes, that is saying something after he won for Forrest Gump and Philadelphia. Director Paul Greengrass has helmed a taut thriller that celebrates bravery as few films have this year. But, it will not hear its name called for Best Picture. You can watch Captain Phillips online now and watch Hanks make movie magic! Watch Dallas Buyers Club online and you’ll immediately see that this is a film that screams acting awards. It will win for Best Actor for Matthew McConaughey and Best Supporting Actor for Jared Leto. The true story of a rodeo cowboy turned AIDS advocate is powerful, but will have to be thrilled with its acting honors. Gravity is nothing short of a movie miracle. Director Alfonso Cuaron has done the impossible and crafted a story that is heavy on special effects, action, thrills and suspense, but at its heart is a tale of the human spirit and our uncanny will to survive. Sandra Bullock gives a performance that is even more powerful than the one she won an Oscar for in The Blind Side. Gravity reminds us why we adore the movies. There is the spectacle, the power and elegance of the cinema, coupled with the drama that recalls some of our greatest tales ever told. Yes, Gravity is one of the three films that will likely win. Spike Jonze redefined the Hollywood romance in this story of a man (Joaquin Phoenix) who falls in love with his operating system (voiced by Scarlett Johansson). Her is a revolutionary film that we are beyond thrilled that the Academy honored with a nomination for Best Picture, but we’re afraid that is all it will get -- although it could win a writing award for Jonze and his wildly original screenplay. Alexander Payne’s black and white family drama brought back Bruce Dern into the spotlight and showed that SNL alum Will Forte can act dramatically with one of the best of our time. It is a mesmerizing study in family and living in the Midwest, and as someone who has both, Payne simply nailed it. Although Sideways and The Descendants were Oscar darlings, we think that Nebraska will have to be happy with the title of Oscar nominee only. Philomena is the true story of a woman (Judi Dench) who decides to find her son after a convent made her give him up over 50 years ago. She enlists the help of a journalist (Steve Coogan) as they cross the pond and come to America. Not only is the search supremely touching, but the pair form the most unlikely of friendships. It’s a delightful film, full of heart. But the miracle of this treat of British cinema is that it earned an Academy Award for Best Picture. The last of the three films we think are front-runners for Hollywood’s biggest night is 12 Years a Slave, the true story (sense a theme this year with true tales?) of a free man who is kidnapped and taken to the South where he would spend 12 horrifying years as a slave for some of the most evil of owners, including Michael Fassbender. The cast is beyond incredible and the story is harrowing (it is one of our 13 great movies that we can never see again). Steve McQueen has crafted an astounding film that has to go down as one of the must-sees when it comes to capturing the national blight to American history that is slavery. Is Oscar ready to give the award to such a tough film? We think absolutely yes. But, will it? Now, The Wolf of Wall Street is a tough film to watch, but in such a different way. It’s a story of excess and debauchery and all courtesy of Jordan Belfort (Leonardo DiCaprio) and the hundreds of millions he swindled from investors. Belfort spent time in jail for what he , and the story, as told by director Martin Scorsese, is incredibly entertaining, even at three hours. It won’t win March 2, but it isn’t because of the controversy surrounding its Sodom and Gomorrah themes. It’s just that there are three other films that will simply beat it. Why: In the last 25 years, three quarters of the winners of Best Director also had their movie win Best Picture. With Alfonso Cuaron an absolute lock to win Best Director, score one for Gravity. The other element: The Producer’s Guild winner for Best Picture each of the last six years has gone on to win Best Picture at the Oscars. This year’s PGA winner? 12 Years a Slave and Gravity (a rare tie!). Also… Movie Fanatic thinks Gravity is the best movie of the year. Period. Will Oscar get it right this year? Click through and check out 11 of Oscar’s biggest mistakes! 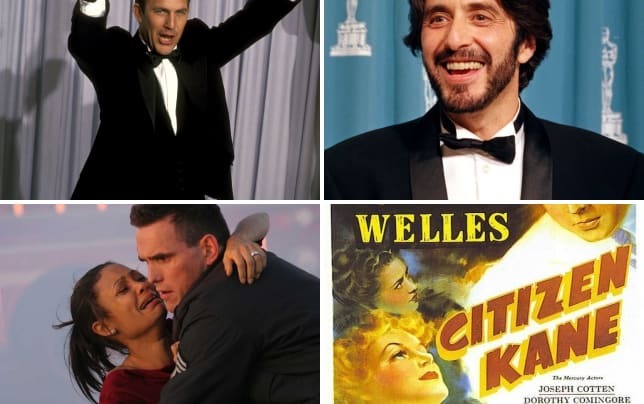 Oscar Watch: All 24 Academy Awards Categories Predicted! Oscar Watch: And Best Picture Goes To… Boyhood!